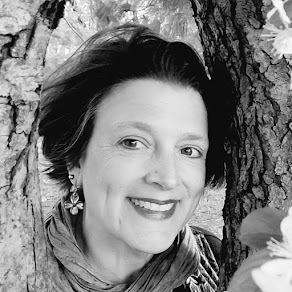 I feel very lucky that my friend Tabatha Yeatts is featuring one of my nature-y poems and a few poemlinks at her rich and wonderful blog The Opposite of Indifference today. Tabatha also directs us to a few very inspiring sites which offer ideas for honoring our Earth. Thank you so much, Tabatha! Click to enlarge the picture. Students - Today's sketch is not of something I find particularly beautiful or inspiring, but it is about something useful and modern: an iron. 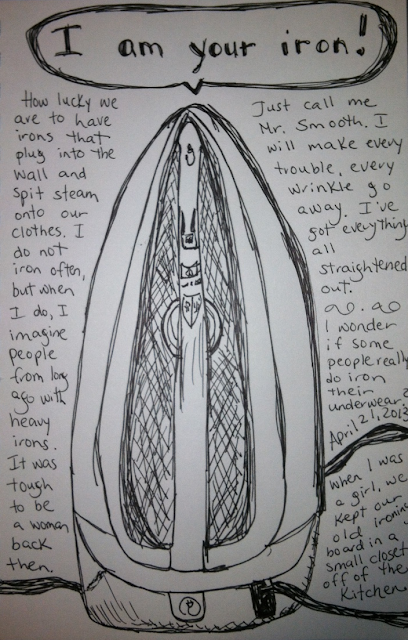 I'm not a big ironer, but sketching this hotel room iron reminded me of a story from my family's history. When my grandparents (on my mom's side) were newly married, my grandfather complained about the way my grandmother ironed his clothing, saying that she "didn't do as fine of a job as his own mother had done." Well. You know what my grandma did? She never ironed another piece of his clothing again! I love this story of my strong lady grandmother from way back in the mid-1920s. Stories like this help me understand the women from my past, and they help me feel strong too. Old family stories like this help us understand who we are. Ask someone in your family to tell you an old story. You might look at photographs and ask about the people, or ask if there is an old story that your mom or dad or aunt or uncle heard over and over again. Or look at an old passed-down object like a watch or a toy or a book and ask..."What is the story behind this?" Then...write. I am honored to be presenting later today on a poetry panel with Sylvia Vardell, Janet Wong, and Joyce Sidman at IRA, and I am grateful for Clarion having sponsored my wonderful trip here and last night's glorious dinner. 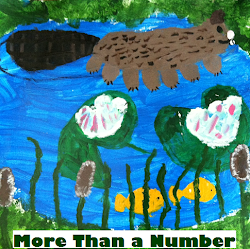 Next week is the TLA conference, and I look forward to all I will learn there too. 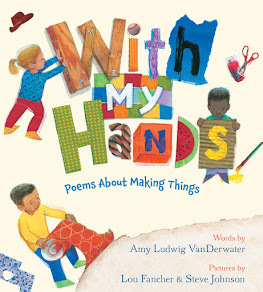 What a lovely Poetry Month it has been. 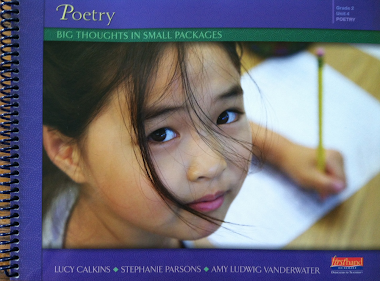 Tomorrow (Tuesday) evening, I will be a guest of Wonderopolis for this month's #WonderChat celebrating poetry and wonder. This is the chat rescheduled from last Monday evening, and I hope that you will be able to join us! 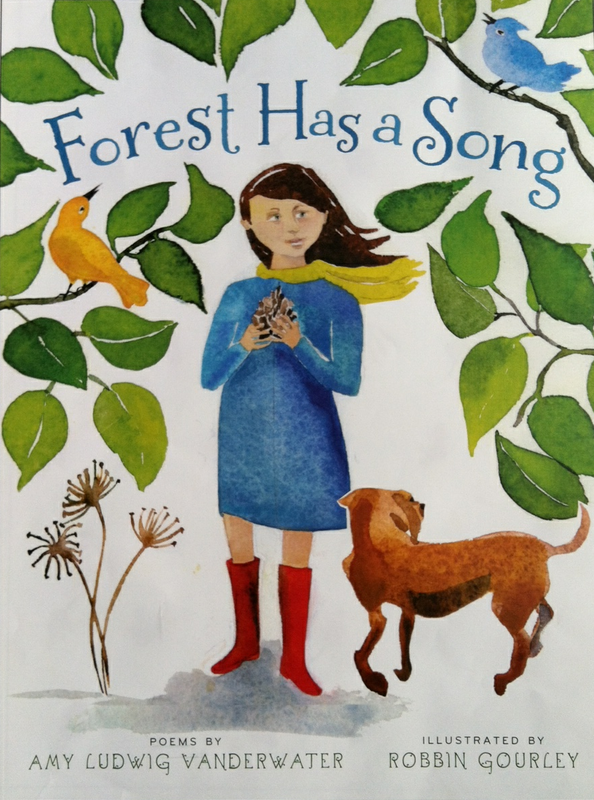 If you are interested in winning a copy of FOREST HAS A SONG (a good book for Earth Day), do check out the left-hand sidebar here where you will see four different blogs that are currently offering giveaways of the book. I love the memories and thoughts about irons! Our old house still had the ironing board in the built in "closet" in the kitchen. It is now our spice cabinet.